Interested in doing a CPD courses at the postgraduate level? Find PCI College’scourses listed on Postgrad.ie. PCI College have a number of Postgraduate courses designed specifically for helping professionals. The approaches presented are useable, up-to-date and strongly evidence-based. If you find one that captures your interest you can book or enquire here on Postgrad.ie below. At PCI College, they are committed to making high quality training available in these areas, and many of their courses meet the accreditation criteria of the Irish Association for Counselling and Psychotherapy, and are validated by Middlesex University. 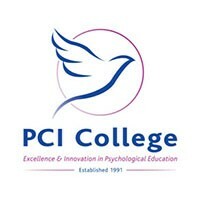 PCI College was founded in 1991 to provide courses and training in counselling and psychotherapy for mature students.